Donald Russell are a Royal Warrant holding online butcher, renowned for the quality of their hand cut, grass-fed steaks and roasts. We have a long and established relationship with Donald Russell and have been designing their printed material for some time – this includes their seasonal catalogue and their direct mail packs. 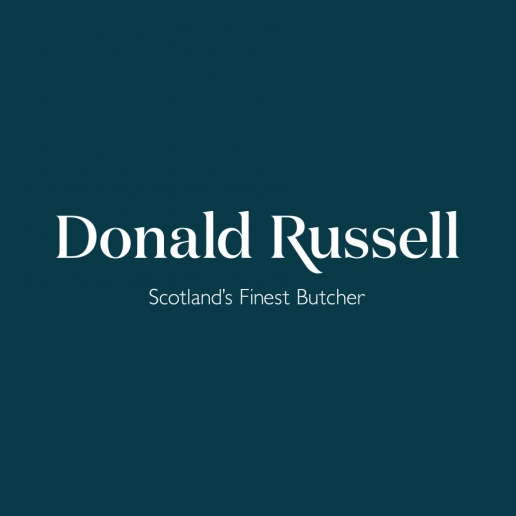 More recently we were tasked to integrate the new Donald Russell identity. Donald Russell’s catalogue is key for selling their products. The new look catalogue had to resonate with existing customers as well as targeting new ones. So, with this in mind, we began work on redesigning the catalogue to adhere to the new Brand Principles.  "Love the updated look. 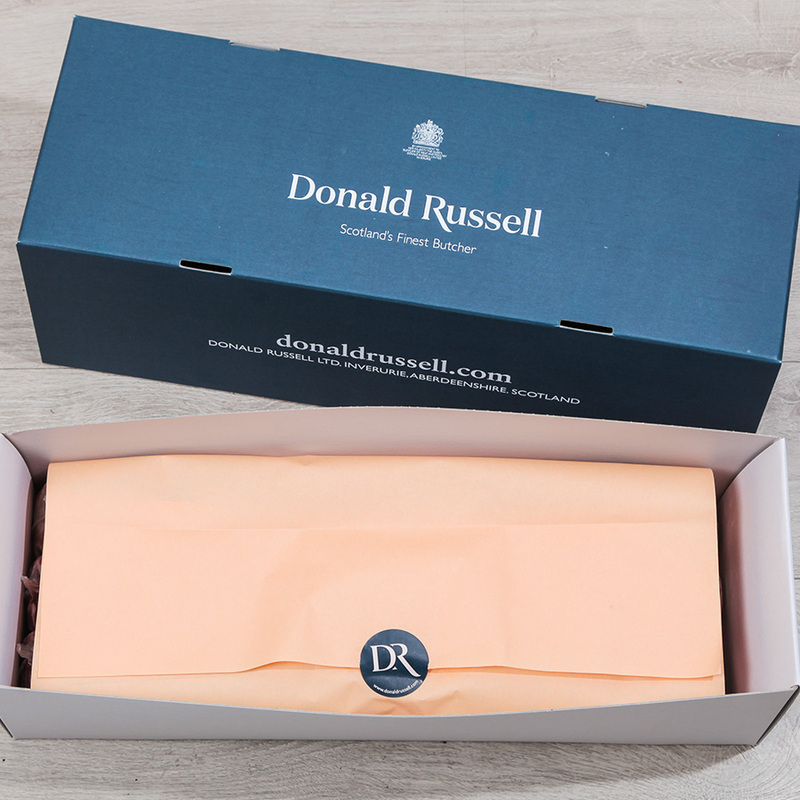 Clear and clean, much easier to browse through with tempting photos.Very classy and in keeping with the DR ethos." 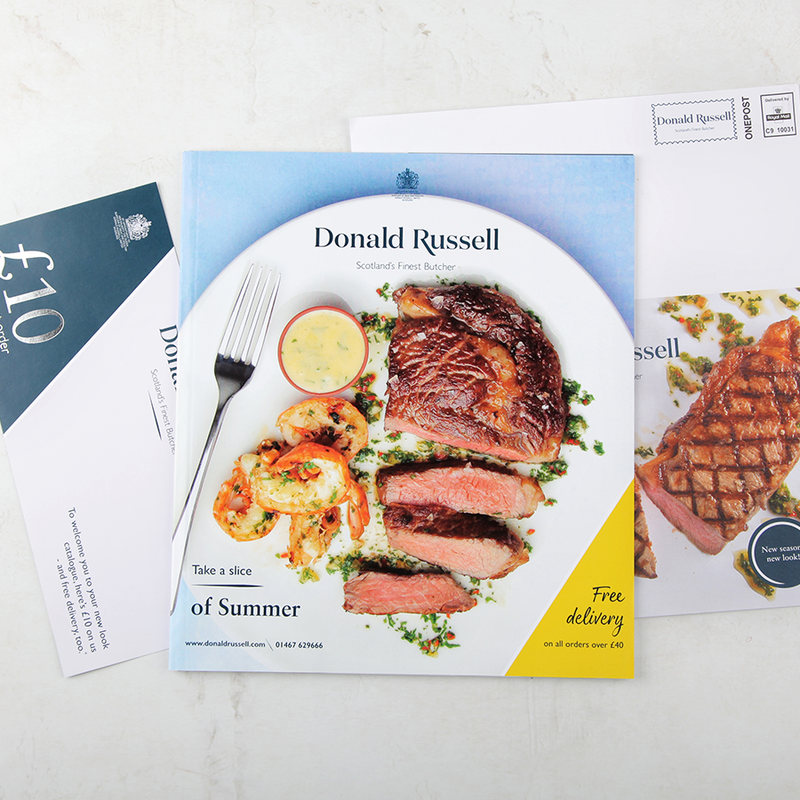 We work closely with the Donald Russell marketing team to produce mailpacks on a weekly basis. 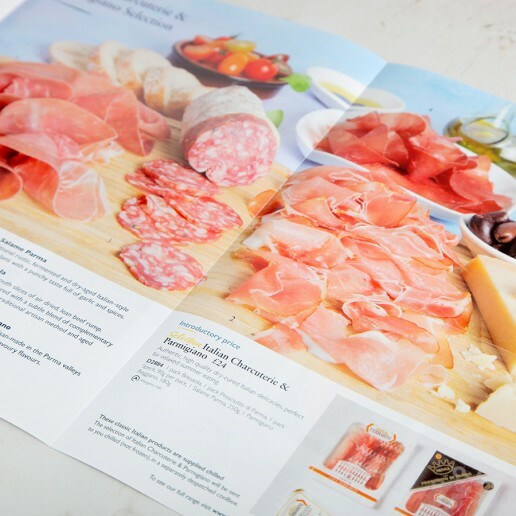 These include product flyers and envelopes that are sent out to targeted audiences. 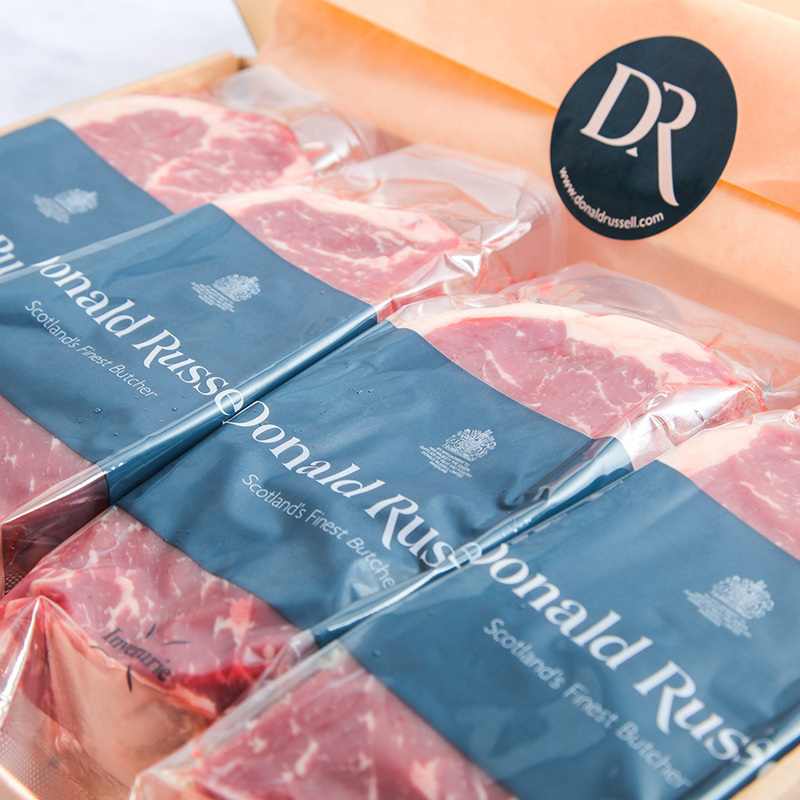 We adapted the brand and designs to be creative and unique, whilst also ensuring consistency. 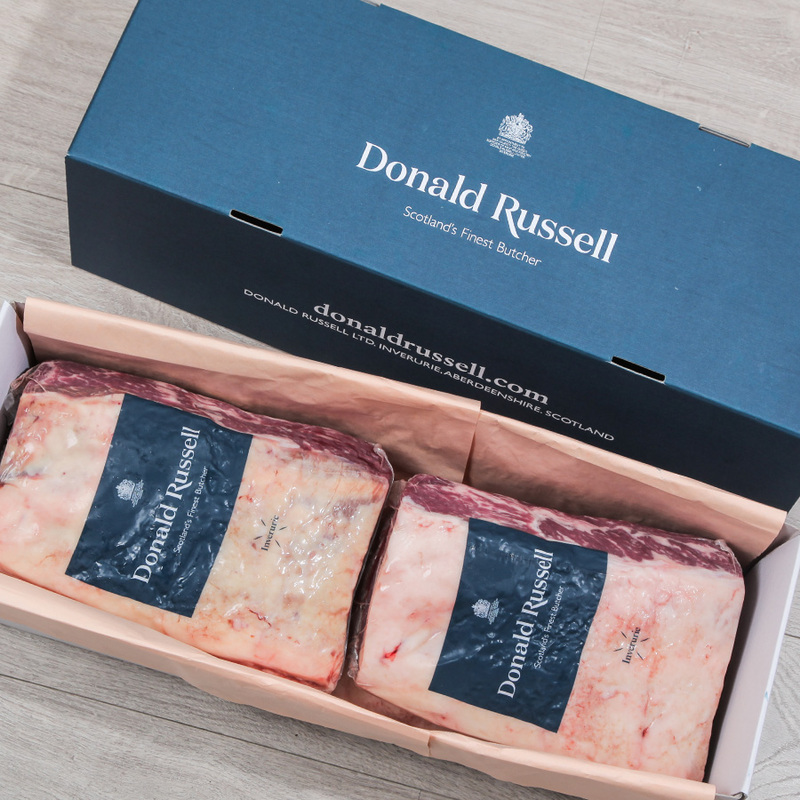 A vital component that makes Donald Russell’s marketing material so visually appealing is the photography that is used throughout. 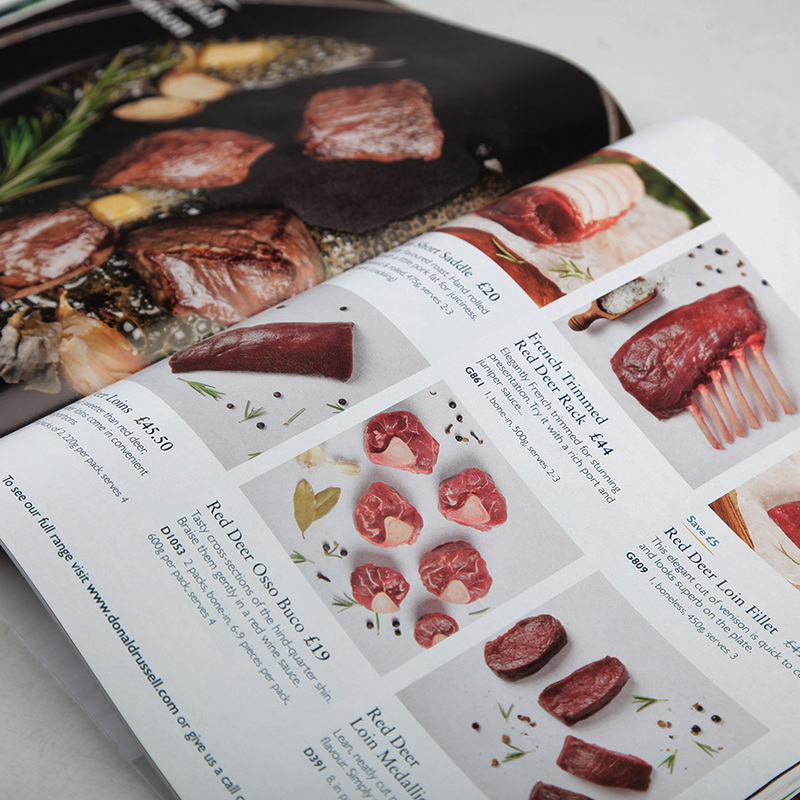 The latest photos we’ve taken as part of the rebranding exercise are enticing and mouthwatering, seasonally coloured and styled, and impart their core message of ‘quality master butchery’. 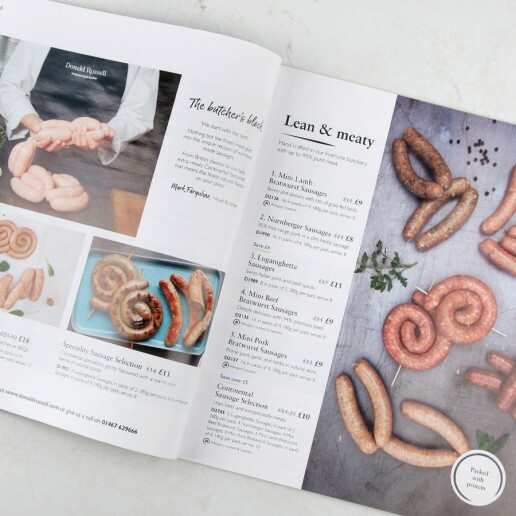 "Those pictures had us drooling... can't wait to see them in print!Thanks to Creative Storm for their ace photography skills. Christmas catalogue, here we come!" 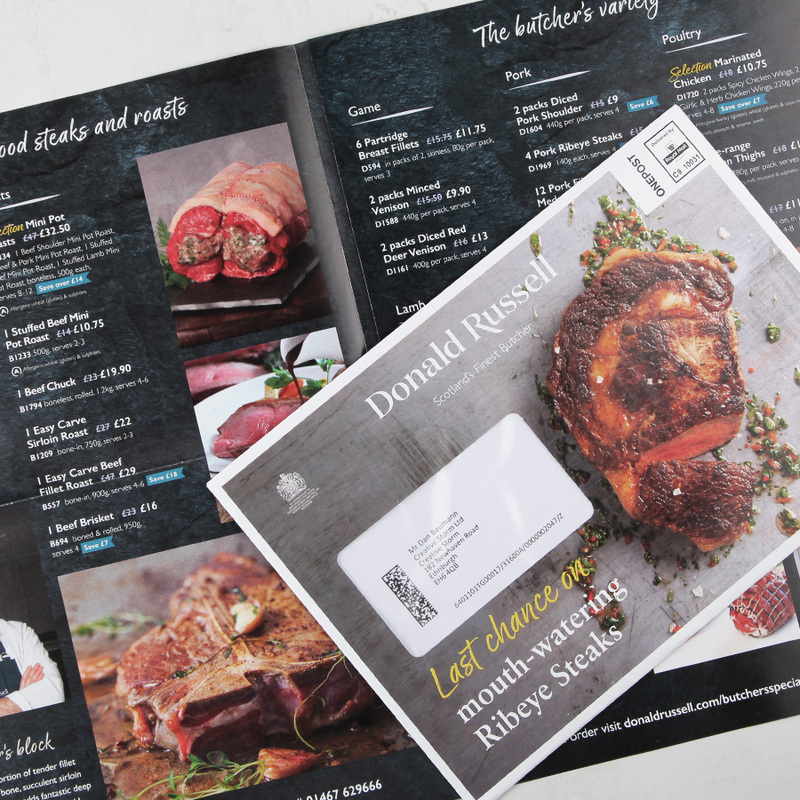 The rebrand affected every single facet of their business and visual communications. 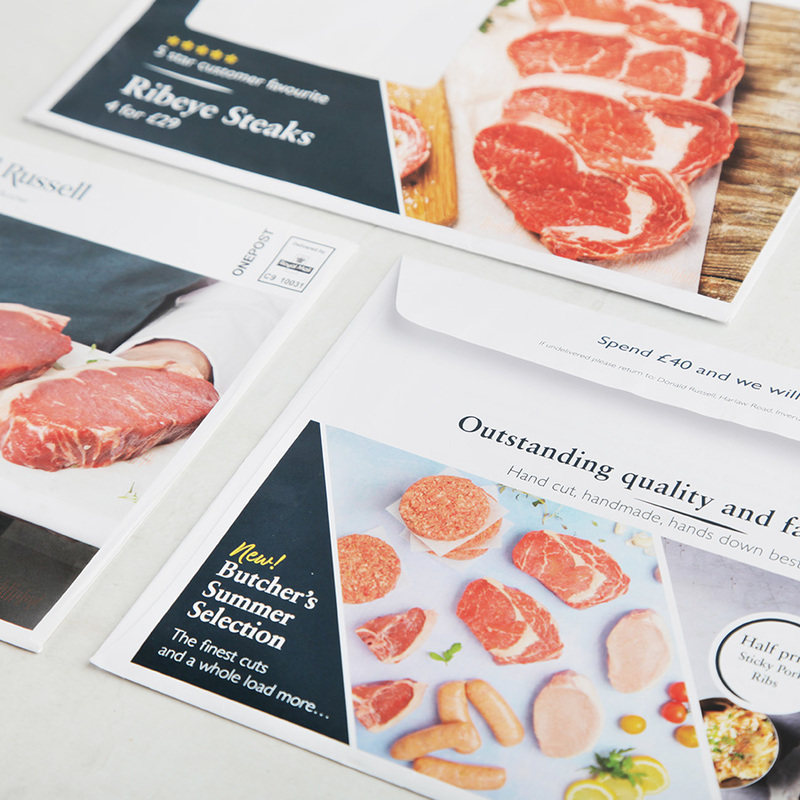 So, working closely with their marketing team we started the meticulous task of preparing all the new materials required – from business cards to steak knives and chopping boards, to a multitude of packaging items, signage inside and outside their facilities, and throughout their offline direct mail marketing materials such as booklets and flyers – we had to ensure the design worked on all relevant media.